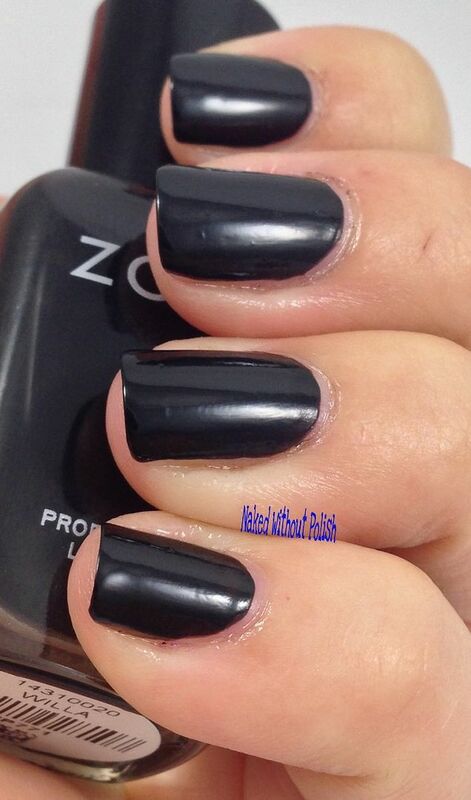 Willa is described as "a full-coverage, densely pigmented onyx black cream". Shown is two coats of Willa without top coat. 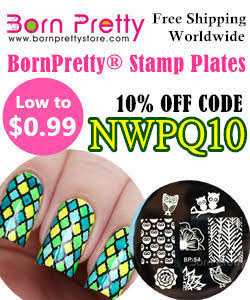 A stunning, solid black that seems like it would be perfect for stamping. 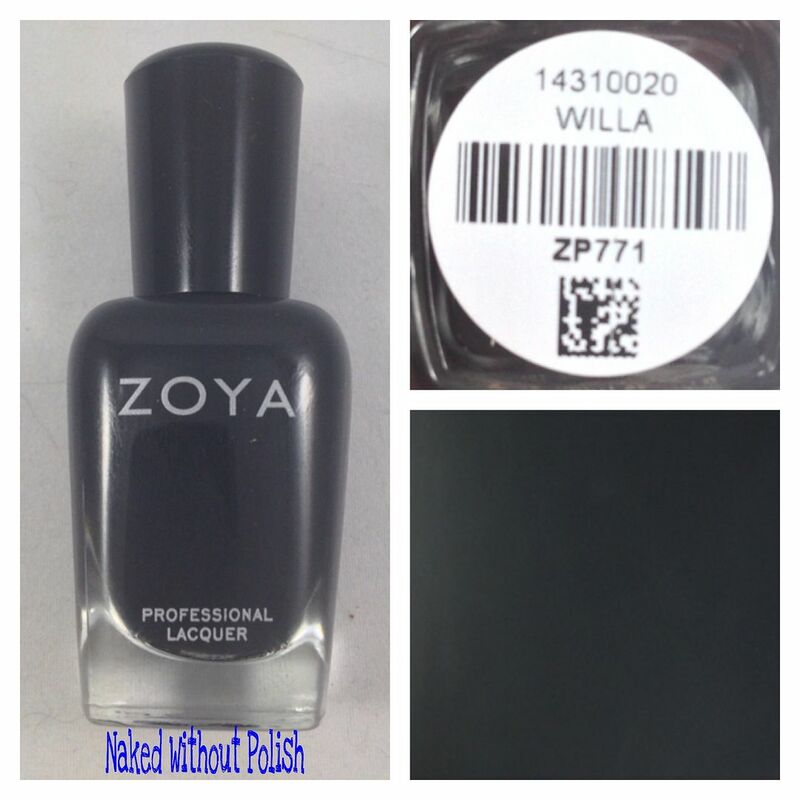 Willa is probably going to work it's way up to one of my favorite black polishes. 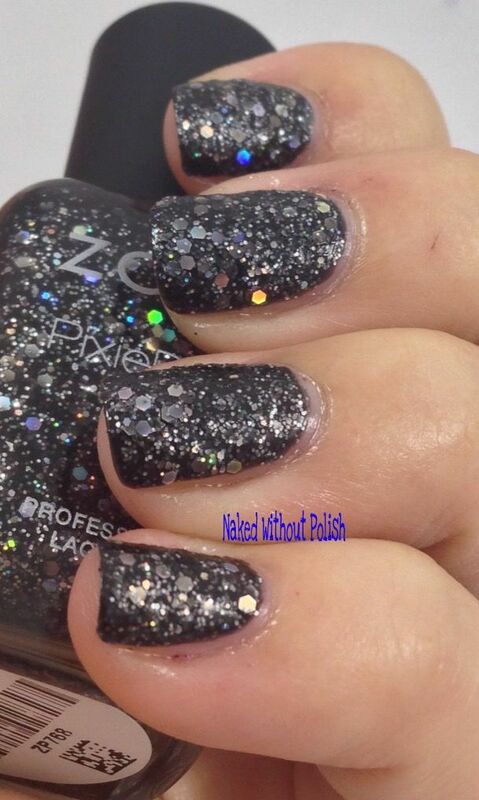 Imogen is described as "a black crystal magical PixieDust with holographic hex glitter". 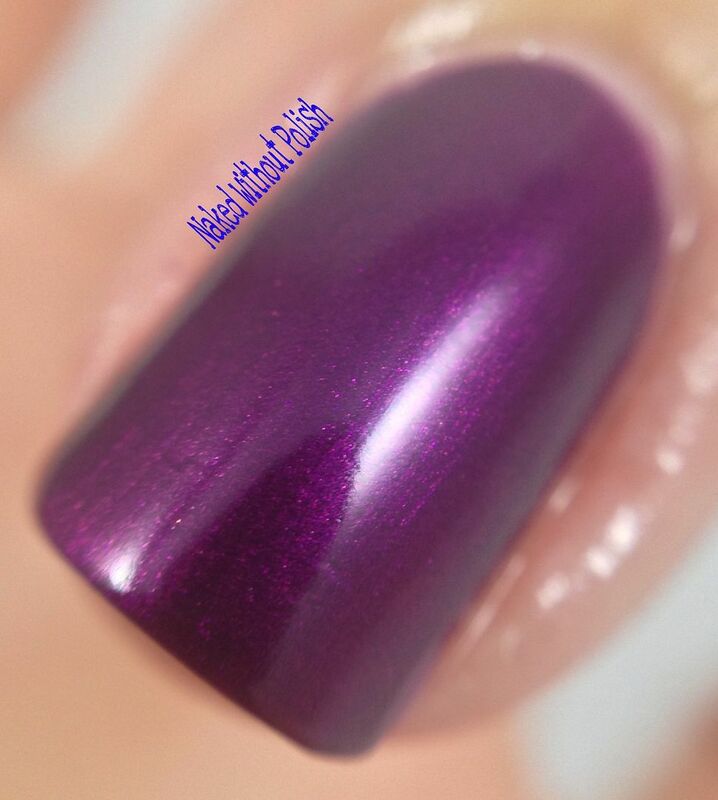 Shown is three coats of Imogen without top coat. As a jelly base, it took three coats to get Imogen fully opaque. 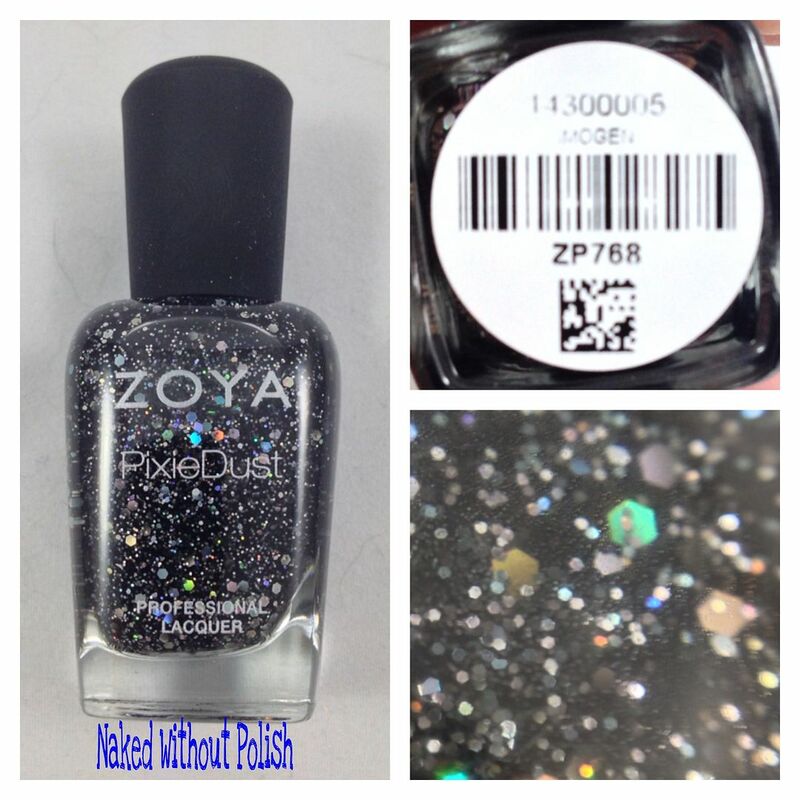 It isn't as textured as other Ultra PixieDust polishes, but it's a great alternative to layering a glitter topper over a black polish. 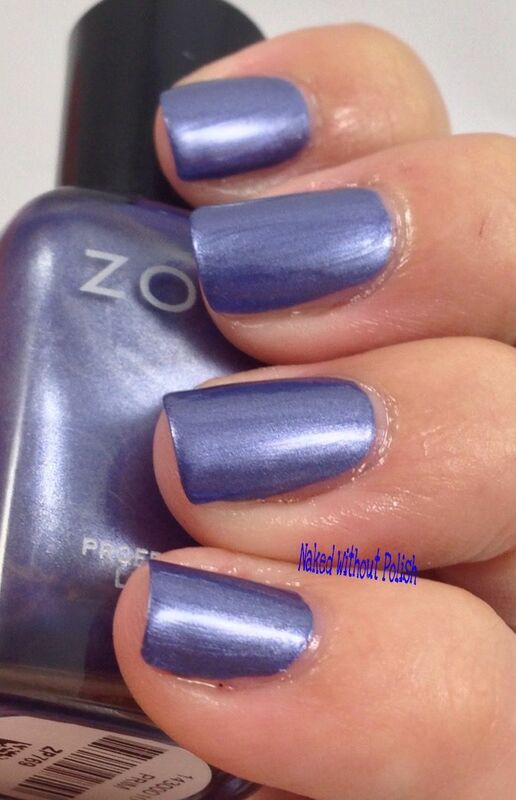 Haven is described as "a true holiday plum liquid metal with a thin vein of orchid to ensure brilliance". Shown is three coats of Haven without top coat. 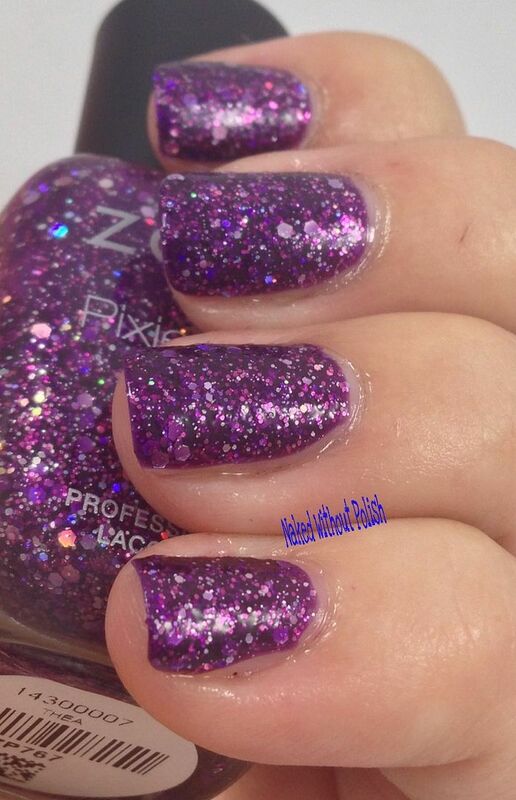 My favorite of the non-PixieDust polishes, Haven is a must have whether you're a purple lover or not. This one will win you over in no time! 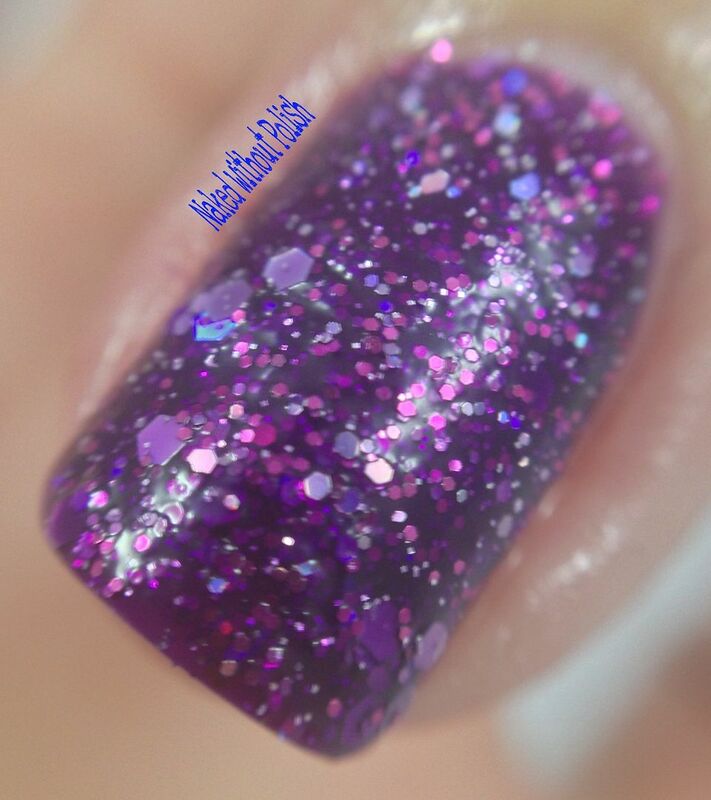 Thea is described as "a deep amethyst Magical PixieDust with an orchid flash, packed full of party ready holographic hex glitter". Shown is three coats of Thea without top coat. 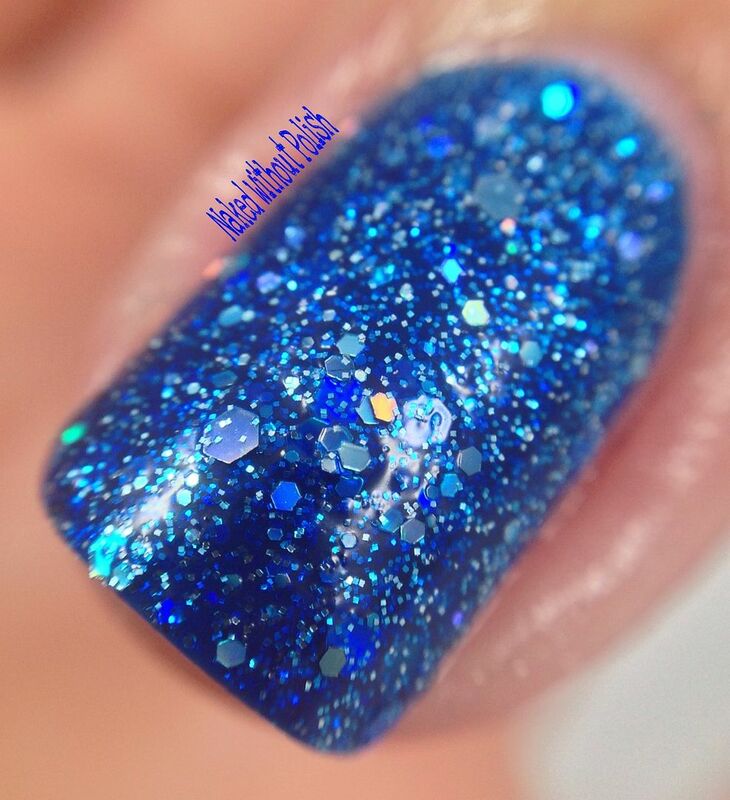 Another fun polish, but Thea doesn't quite dry with an overly textured finish. Just slightly bumpy. Still very pretty! Would easily smooth out with top coat if desired. 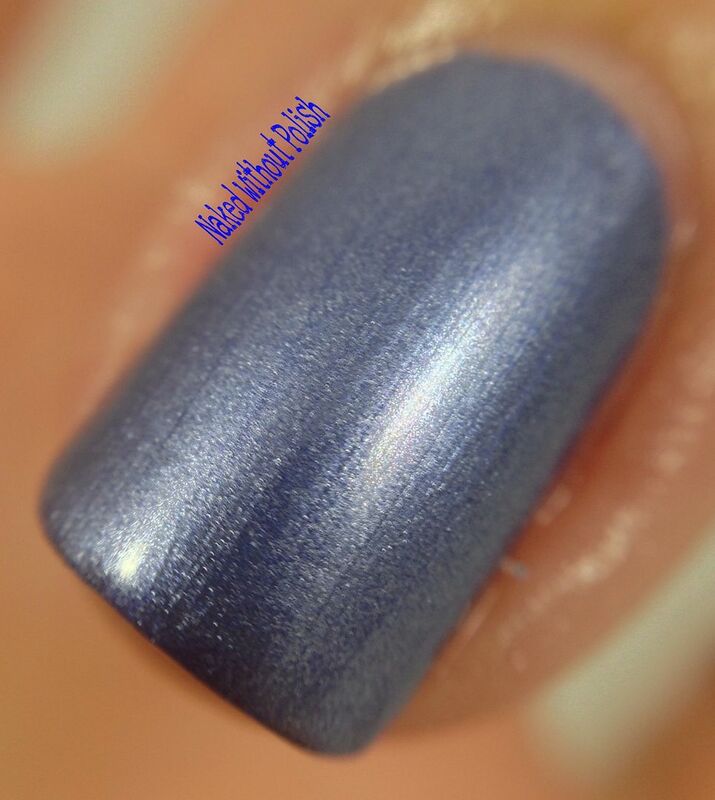 Prim is described as "a velvet blue metallic with a full-coverage, high-density pigment and buttery smooth application". Shown is three coats of Prim without top coat. 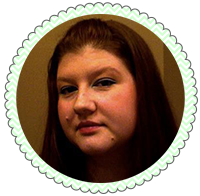 A beautiful shade of violet, Prim isn't one of favorites. I wish it was more metallic than it was. It seemed more frosty to me, and I'm just not a fan of frosts. Nothing wrong with the formula or application or anything. It's all preference here. 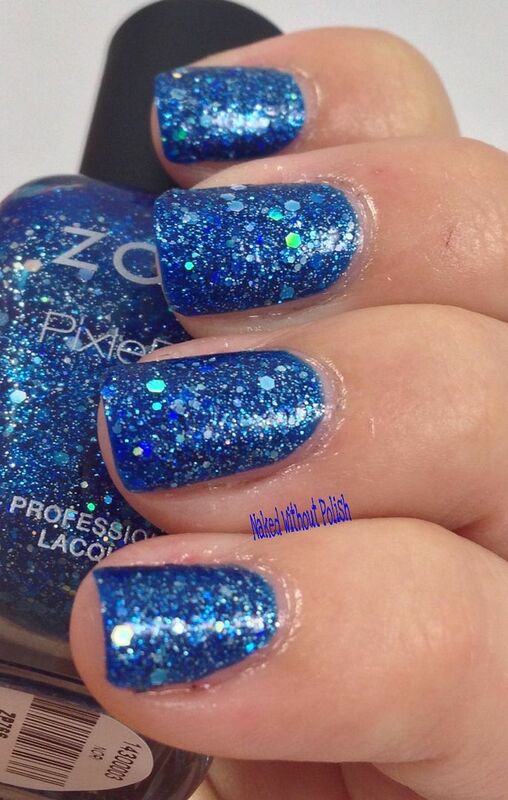 Nori is described as "a sapphire blue Magical PixieDust with holographic hex glitter". Shown is three coats of Nori without top coat. 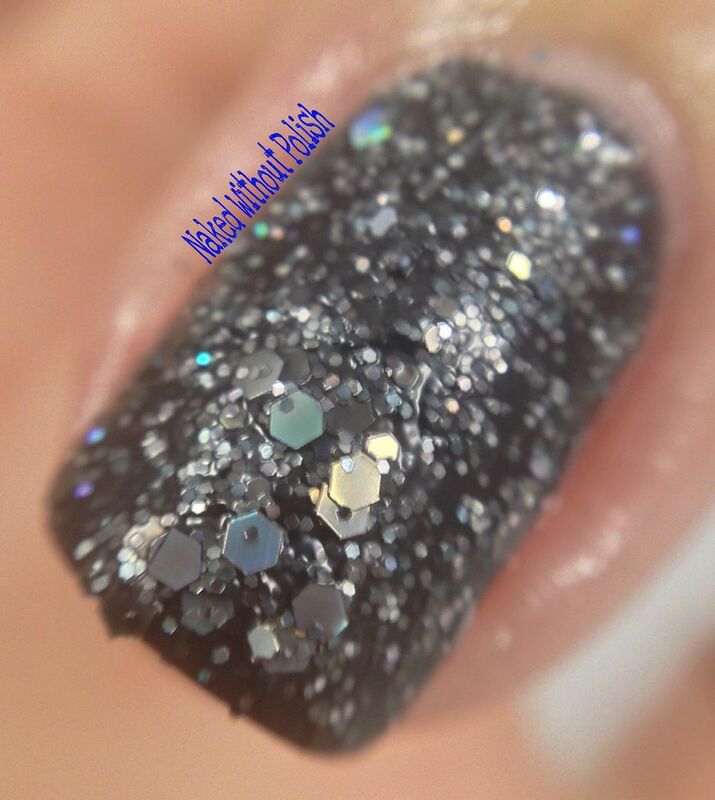 My favorite of the whole collection, Nori is vibrant and sparkly! 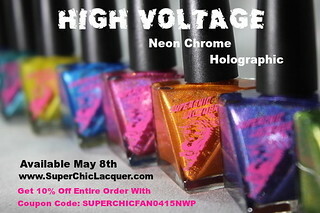 Opaque in three coats, this just might be the best polish from the "non-traditional" PixieDusts! 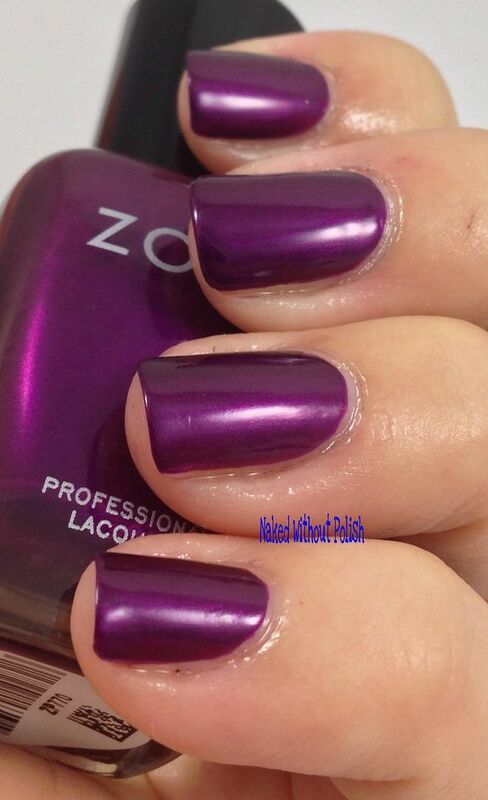 I love Zoya. There is no denying that, but we can't rave about every collection in it's entirety, all the time. The Wishes Collection is full of smooth applications and great formulas, even if I'm, personally, not attracted to some of the finishes. There is no denying a great formula. The Wishes Collection is available to pre-order now. You can get the whole collection for $57 or single bottles for $9 to $10. There are some good ones here, so pick ad choose wisely! !